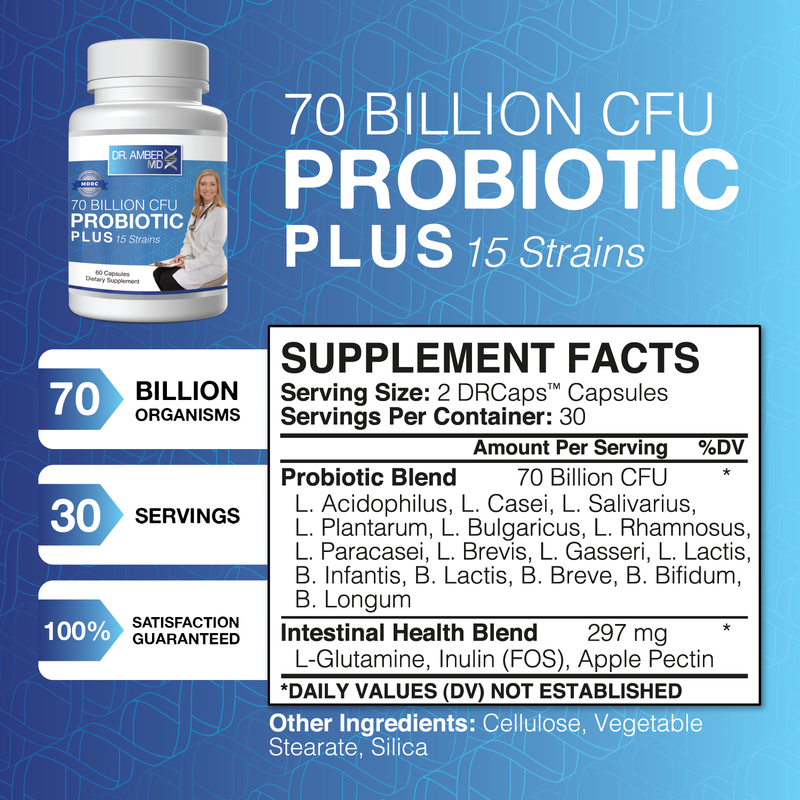 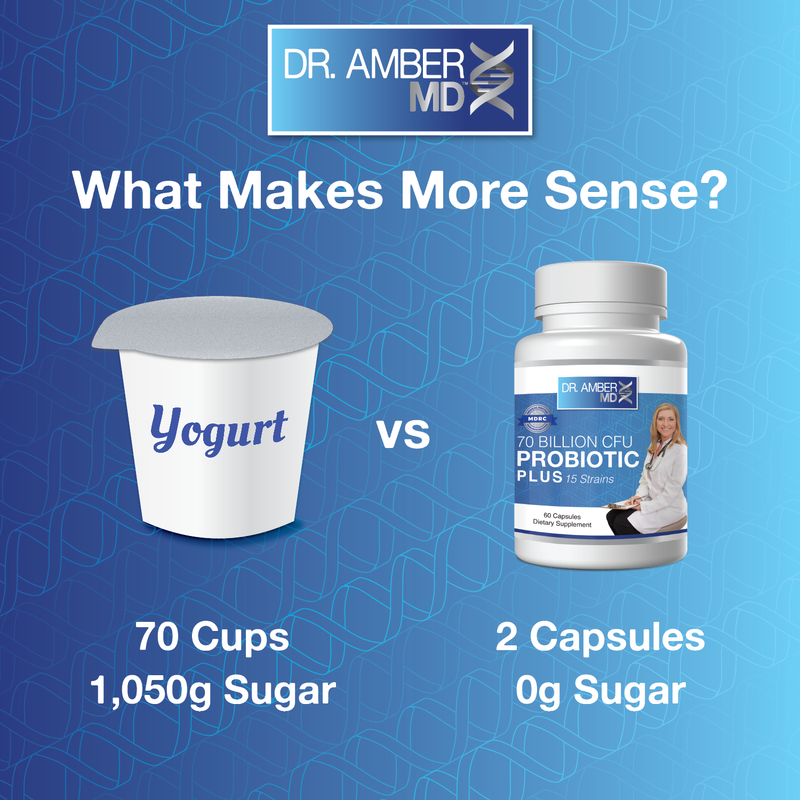 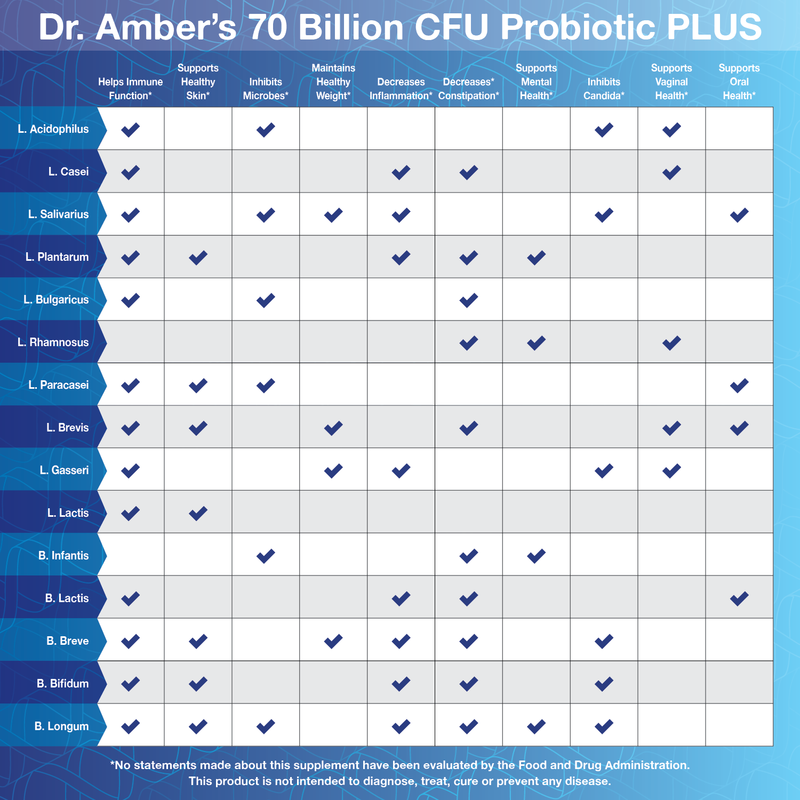 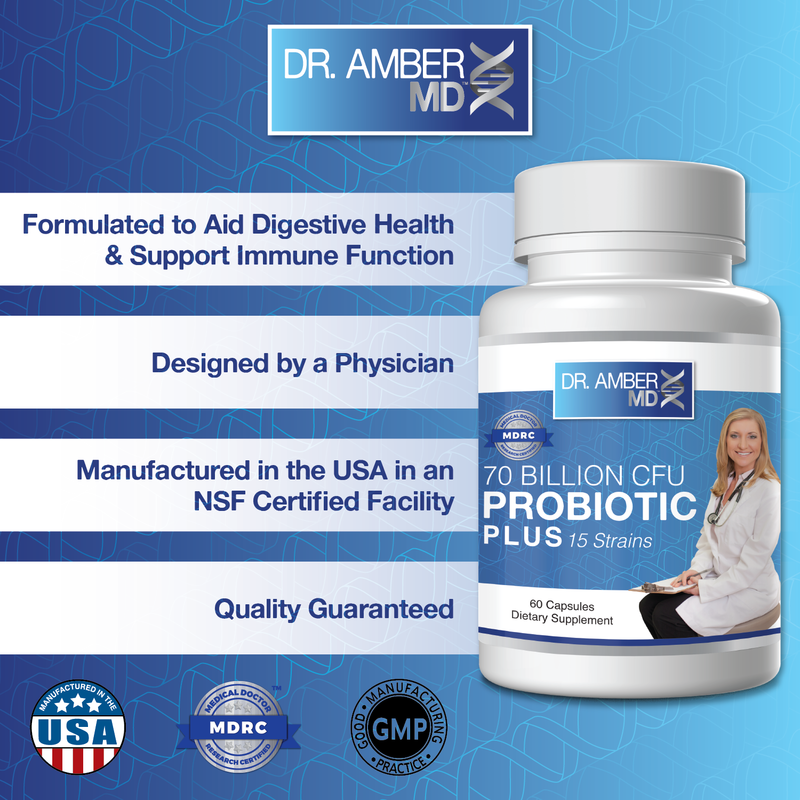 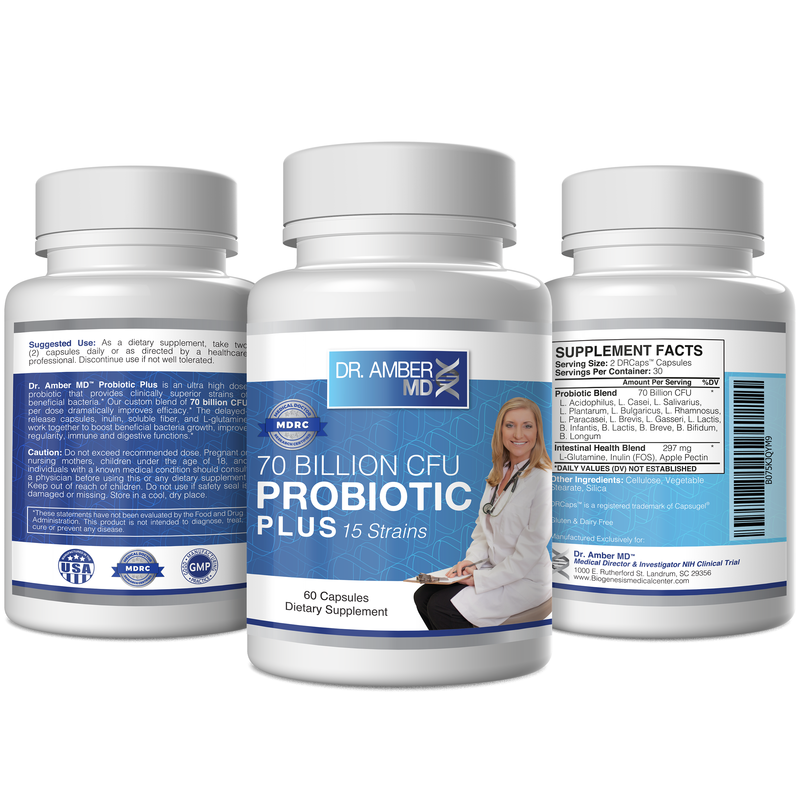 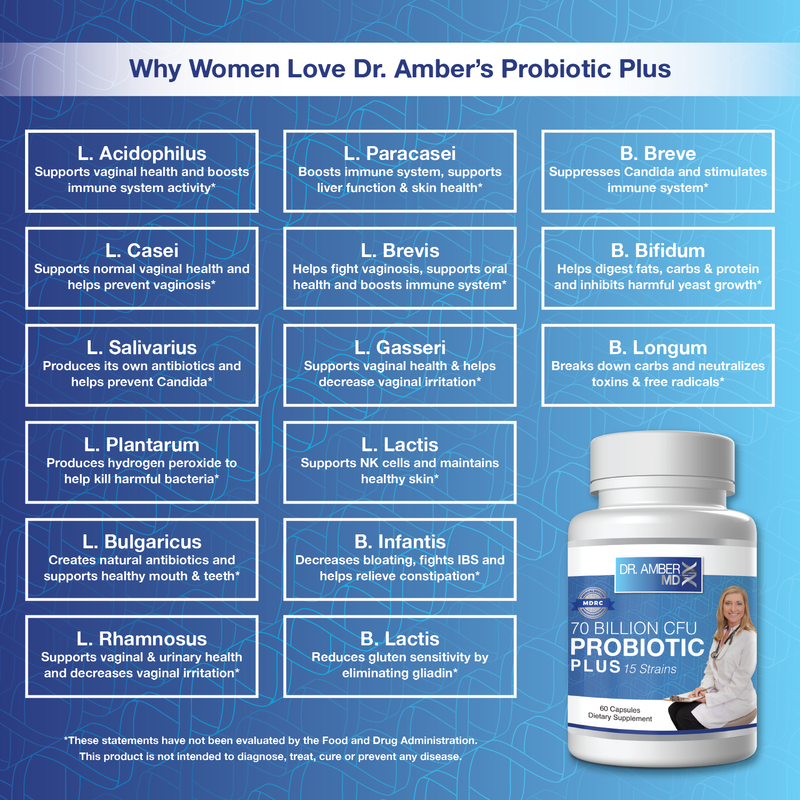 Dr. Amber MD™ Probiotic Plus is an ultra high dose probiotic that provides clinically superior strains of beneficial bacteria. 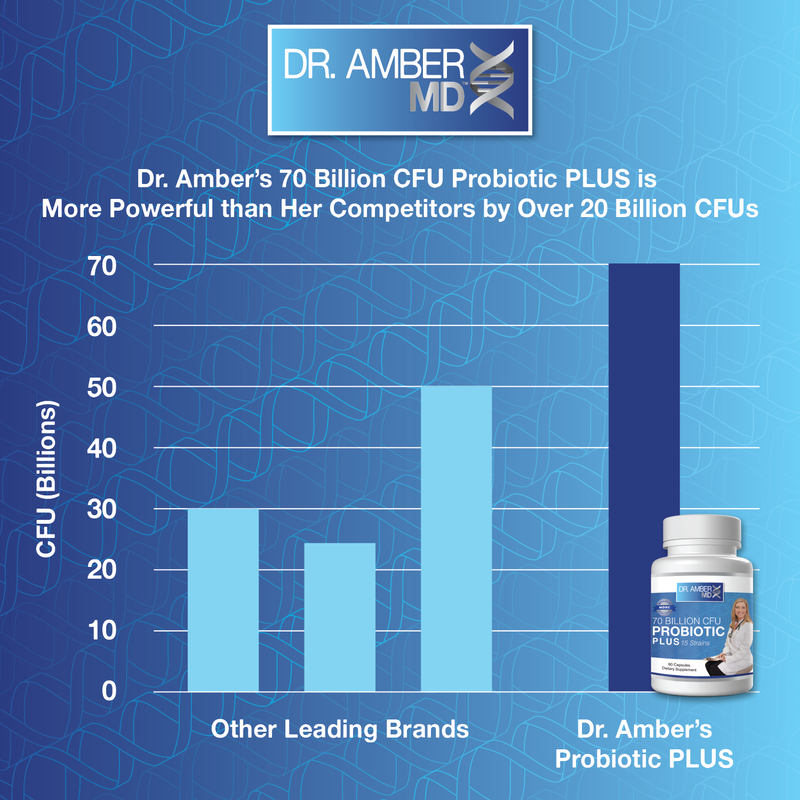 Our custom blend of 70 billion CFU per dose dramatically improves efficacy. 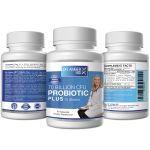 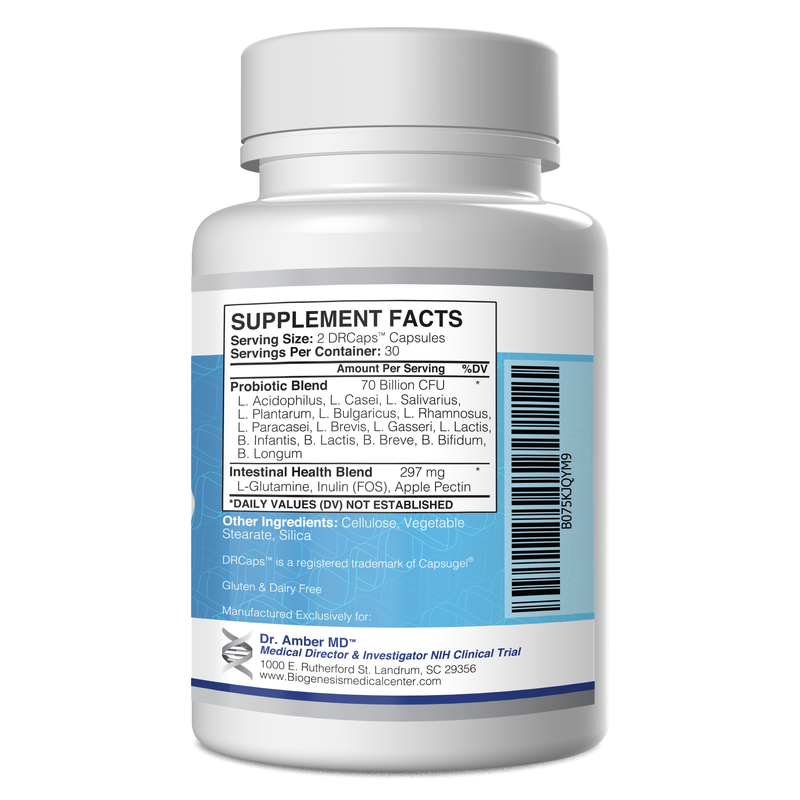 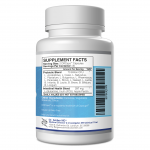 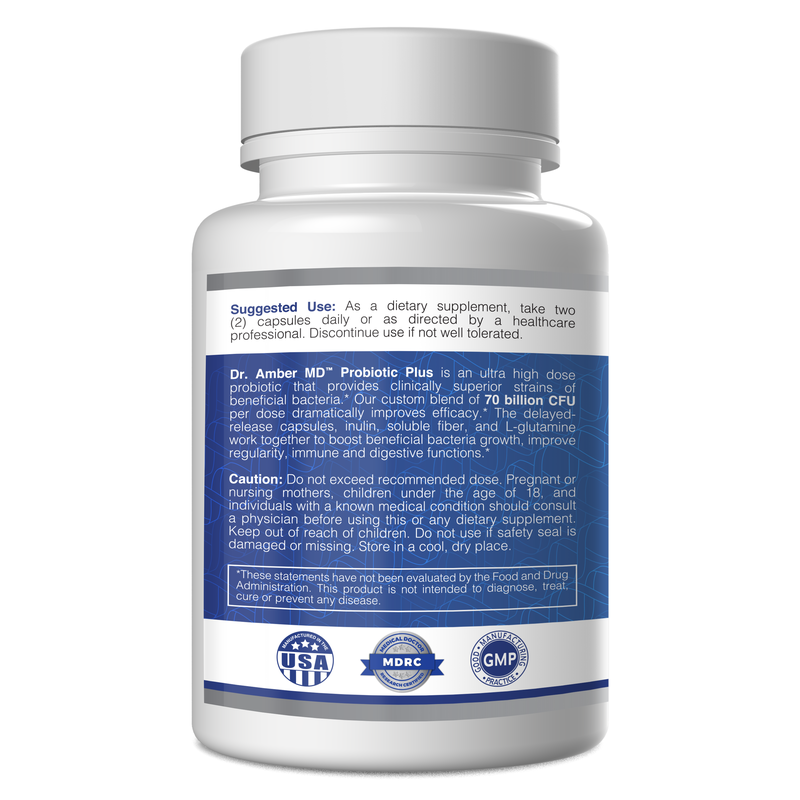 The delayed-release capsules, inulin, soluble fiber, and L-glutamine work together to boost beneficial bacteria growth, improve regularity, immune and digestive functions.